Each of the lakes provides the angler with a different challenge and the layout means that there is nearly always a quiet corner to fish and the illusion that you have it all to yourself. The Ironmill lake is designated as "Specimen" – stocked from 4lb – 20lb+, target average weight 5lb 8oz and should be viewed as not ideal for beginners. You can potentially get a 4-fish bag of just over 12lb or it could be over 30lbs. The other lakes are "Normal" lakes – stocked from 2lb + with a few surprises .... The target average weight is about 2lbs. Bodmin Lake is situated across the valley from the lodge and is one of the most established of all the lakes. Due to the relatively easy casting access this lake is classed as a normal and is particularly suitable for Beginnners and Catch and Release - the only C&R lake at the fishery. Depending on the season it has a variety of beautiful flora including a bank covered with Rhododendrons which look fantastic in bloom. It has recently been renovated and has a number of deep holding pools with depths ranging from 4 to 12 feet. This lake has wheelchair access. Dartmoor Lake is next moving up the valley and has its own shelter in case the weather turns nasty. This lake is the most shaded and is consistently deep - 8 feet at it's shallowest - making it a good choice on a bright day. 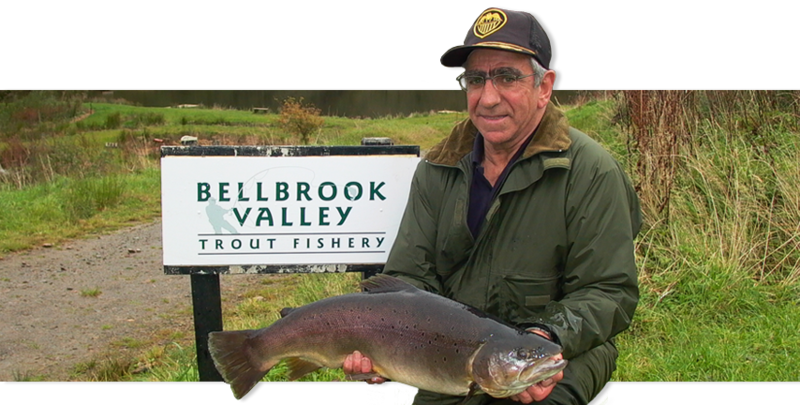 It is set in ¾ of an acre and is a good vantage point being set in the middle of the fishery. This lake is stocked to be more challenging than Bodmin and has the "odd surprise" 3lber. Exmoor Lake is approx two thirds of an acre with a depth of 6 - 12 feet. One side is heavily wooded with plenty of over hanging branches and there is a submerged rocky bar coming off the bank into the middle of the lake where the fish like to “hang”. This can make the lake more tricky to fish and is designated as intermediate difficulty and has more regular 3lbers lurking. Sedgemoor Lake is approx ¾ of an acre and has a few obstacles including a submerged tree stump which the fish like to swim around. The depth is from 2 -12 feet - this lake is classed as the most challenging "normal" lake and is aimed at the Intermediate/expert with occasional fish up to 4lb. IronMill Lake was completely renovated in 2007 and is now 3 ish acres and 9 - 12 feet deep with 8 fishing platforms as well as bank fishing. It is fed by a stream of the same name and is on the same side of the valley as the fish farm. It is bordered by the stream and has its own supply of wild browns. It is set on its own and is a secluded piece of heaven in an already beautiful valley.